In Equestria, being true to yourself is the key to earning your cutie mark. But staying true to yourself is just as important! Join Twilight Sparkle, Apple Jack, Pinkie Pie, Rarity, Fluttershy and Rainbow Dash — as well as everyone's favorite Cutie Mark Crusaders, Scootaloo, Sweetie Belle and Apple Bloom — as they journey to find their own Cutie Marks, take on the spirit of chaos and disharmony and visit a village where… everypony has given up their Cutie Marks?! It's all here in Cutie Mark Quests! We are huge fans of the My Little Pony series in this house. I've been a fan ever since I used to watch the original shows when I was younger. My oldest daughter who has just turned 10 has and still does love the ponies that helped taught her about the importance of friendship. So now that I have a new little one who just turned one, all three of us got together and watched the latest DVD, Cutie Mark Quests. Although my one year old was playing with her toys most of the time, there were moments, during the catchy sing-a-long songs where she paid attention all while shaking her booty. In Cutie Mark Quests there are five episodes. We really enjoyed watching each episode as we see our favorite ponies visit a village where everypony has given up their cutie mark. It's a shock to the ponies as in Equestria, each pony tries really had to earn their mark by being true to themselves. I absolutely loved watching this with my girls. Not only does it bring back memories, but I love how much the show teaches kids to be themselves and how to be a good friend. 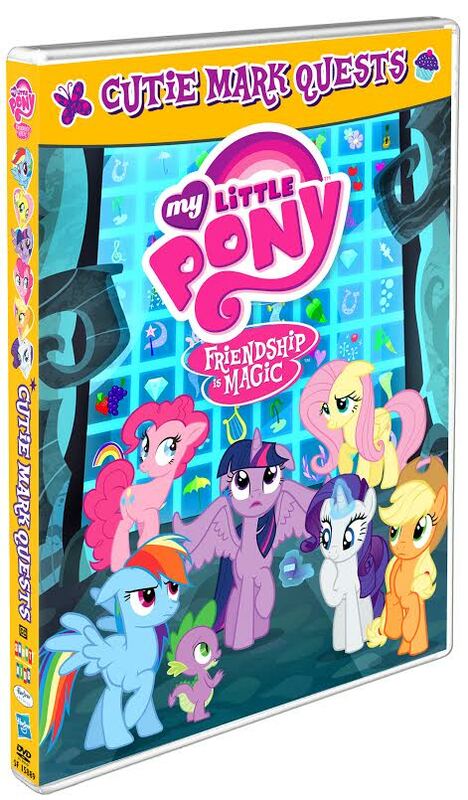 Cutie Mark Quest is now out on DVD. 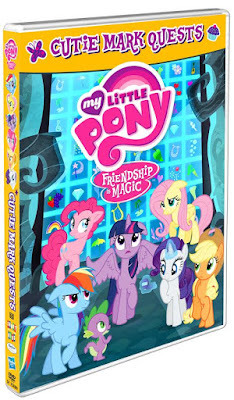 You can find out more about this DVD along with other My Little Pony DVD's at www.shoutfactory.com, as well as follow them on Facebook and Twitter.